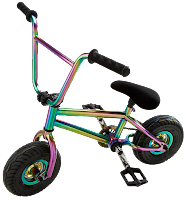 Already an owner of the coolest Rainbow-Scooter? 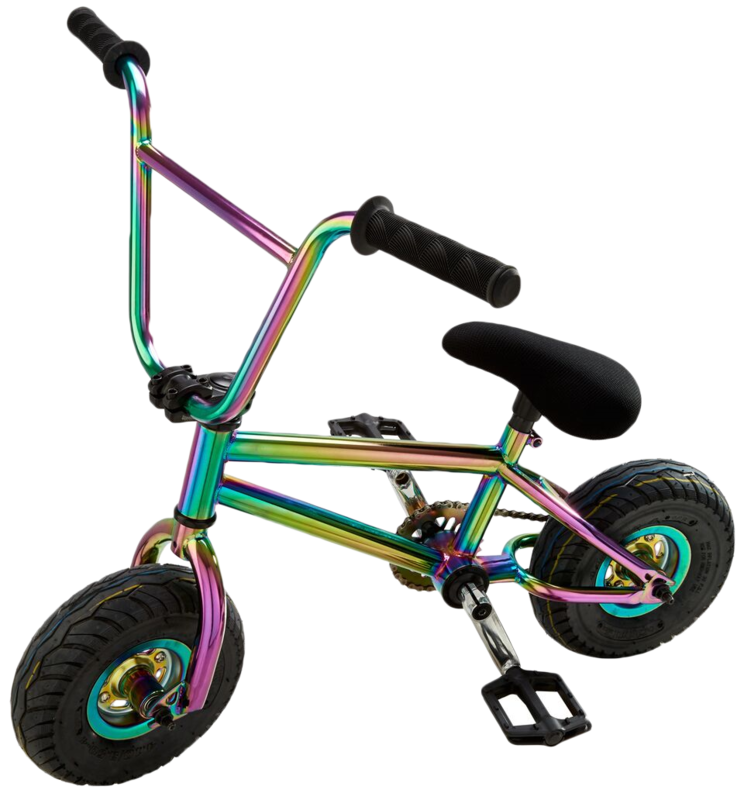 Get a load of this Rainbow Mini BMX bike! This is the latest products by Team Dogz, guaranteed to get you noticed at the skate park. Hi Tensile 10” Full Chrome Rainbow Frame. 28 Tooth Sprocket (28/9 gearing). 9 Tooth Rear Driver with loud cassette. Lightweight Alloy top load stem. Original Mini BMX 10” Chunky Tyres (4.1/3.5 – 4).